Call, R.E. 1900. 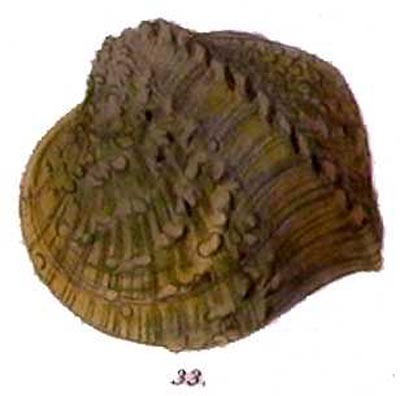 A descriptive illustrated catalogue of the Mollusca of Indiana. Indiana Department of Geology and Natural Resources (1899) (24th annual ed. ): 335-535. Paetel, 1890, Cat. Conch.-Samml. : 158. Call, 1895, Trans. Acad. Sci. St. Louis: 53. Call, 1900, Ind. Dept. Geol. Nat. Res. : 518. Call, 1900, Ind. Dept. Geol. Nat. Res. : 501, pl. 57. Ortmann, 1912, Ann. Carnegie Mus. : 264. ‘Hildreth’ Call, 1900, Ind. Dept. Geol. Nat. Res. : 492. Baker, 1905, Trans. Acad. Sci. St. Louis: 253. Shimek, 1921, Iowa Conserv. : 1. Unio (Anodonta) dehiscens Say, 1829. — Call (1900: 533). Unio (Anodonta) edentula (Say, 1829). — Call (1900: 529). Unio (Anodonta) footiana (Lea, 1840). — Call (1900: 535). Unio (Anodonta) grandis (Say, 1829). — Call (1900: 531). Unio (Anodonta) imbecillis (Say, 1829). — Call (1900: 527). Unio (Anodonta) salmonia (Lea, 1838). — Call (1900: 534). Unio (Anodonta) subcylindracea (Lea, 1838). — Call (1900: 530). Unio (Anodonta) suborbiculata (Say, 1831). — Call (1900: 532). Unio (Anodonta) wardiana (Lea, 1838). — Call (1900: 528). Unio (Margaritana) complanata (Barnes, 1823). — Call (1900: 522). Unio (Margaritana) confragosa (Say, 1829). — Call (1900: 520). Unio (Margaritana) deltoidea (Lea, 1838). — Call (1900: 519). Unio (Margaritana) hildrethiana Lea, 1834. — Call (1900: 527). Unio (Margaritana) marginata (Say, 1819). — Call (1900: 521). Unio (Margaritana) monodonta Say, 1829. — Call (1900: 526). Unio (Margaritana) rugosa (Barnes, 1823). — Call (1900: 524). Unio (s.s.) alatus Say, 1817. — Call (1900: 461). Unio (s.s.) capax Green, 1832. — Call (1900: 482). Unio (s.s.) circulus Lea, 1829. — Call (1900: 493). Unio (s.s.) clavus Lamarck, 1819. — Call (1900: 506). Unio (s.s.) coccineus Lea, 1838. — Call (1900: 500). Unio (s.s.) cooperianus Lea, 1834. — Call (1900: 485). Unio (s.s.) cornutus Barnes, 1823. — Call (1900: 466). Unio (s.s.) crassidens Lamarck, 1819. — Call (1900: 509). Unio (s.s.) cylindricus Say, 1817. — Call (1900: 468). Unio (s.s.) cyphyus (Rafinesque, 1820). — Call (1900: 496). Unio (s.s.) donaciformis Lea, 1828. — Call (1900: 472). Unio (s.s.) ebenus Lea, 1831. — Call (1900: 504). Unio (s.s.) elegans Lea, 1831. — Call (1900: 471). Unio (s.s.) ellipsis Lea, 1828. — Call (1900: 495). Unio (s.s.) fabalis Lea, 1831. — Call (1900: 458). Unio (s.s.) foliatus Hildreth, 1828. — Call (1900: 510). Unio (s.s.) fragosus Conrad, 1836. — Call (1900: 490). Unio (s.s.) gibbosus Barnes, 1823. — Call (1900: 450). Unio (s.s.) glans Lea, 1831. — Call (1900: 514). Unio (s.s.) gracilis Barnes, 1823. — Call (1900: 464). Unio (s.s.) graniferus Lea, 1838. — Call (1900: 488). Unio (s.s.) iris Lea, 1829. — Call (1900: 456). Unio (s.s.) irroratus Lea, 1828. — Call (1900: 485). Unio (s.s.) lachrymosus [sic] Lea, 1828. — Call (1900: 489). Unio (s.s.) laevissimus (Lea, 1829). — Call (1900: 462). Unio (s.s.) ligamentinus Lamarck, 1819. — Call (1900: 483). Unio (s.s.) lineolatus (Rafinesque, 1820). — Call (1900: 469). Unio (s.s.) luteolus Lamarck, 1819. — Call (1900: 478). Unio (s.s.) metanevra (Rafinesque, 1820). — Call (1900: 467). Unio (s.s.) multiplicatus Lea, 1831. — Call (1900: 448). Unio (s.s.) multiradiatus Lea, 1829. — Call (1900: 479). Unio (s.s.) obliquus Lamarck, 1819. — Call (1900: 501). Unio (s.s.) orbiculatus Hildreth, 1828. — Call (1900: 492). Unio (s.s.) parvus Barnes, 1823. — Call (1900: 512). Unio (s.s.) perplexus Lea, 1831. — Call (1900: 475). Unio (s.s.) personatus Say, 1829. — Call (1900: 474). Unio (s.s.) phaseolus Hildreth, 1828. — Call (1900: 454). Unio (s.s.) plicatus Leseuer. — Call (1900: 446). Unio (s.s.) pressus (Lea, 1852). — Call (1900: 459). Unio (s.s.) pustulatus Lea, 1831. — Call (1900: 486). Unio (s.s.) pustulosus Lea, 1831. — Call (1900: 487). Unio (s.s.) rectus Lamarck, 1819. — Call (1900: 451). Unio (s.s.) retusus Lamarck, 1819. — Call (1900: 494). Unio (s.s.) rubiginosus Lea, 1829. — Call (1900: 505). Unio (s.s.) solidus Lea, 1838. — Call (1900: 504). Unio (s.s.) spatulatus Lea, 1845. — Call (1900: 455). Unio (s.s.) subovatus “Say”. — Call (1900: 481). Unio (s.s.) subrostratus Say, 1831. — Call (1900: 457). Unio (s.s.) sulcatus Lea, 1829. — Call (1900: 476). Unio (s.s.) tenuissimus (Lea, 1829). — Call (1900: 463). Unio (s.s.) teres Rafinesque, 1820. — Call (1900: 452). Unio (s.s.) tetralasmus Say, 1831. — Call (1900: 517). Unio (s.s.) trapezoides Lea, 1831. — Call (1900: 509). Unio (s.s.) triangularis Barnes, 1823. — Call (1900: 473). Unio (s.s.) trigonus Lea, 1831. — Call (1900: 504). Unio (s.s.) tuberculatus Barnes, 1823. — Call (1900: 465). Unio (s.s.) undulatus Barnes, 1823. — Call (1900: 445). Unio (s.s.) varicosus Lea, 1831. — Call (1900: 499). Unio (s.s.) ventricosus Barnes, 1823. — Call (1900: 480). Unio (s.s.) verrucosus Barnes, 1823. — Call (1900: 491).